Richelle Normand, Goodwill retail director, was excited to be back in business. In striking contrast this week, one well-known local store was opening while another was closing. 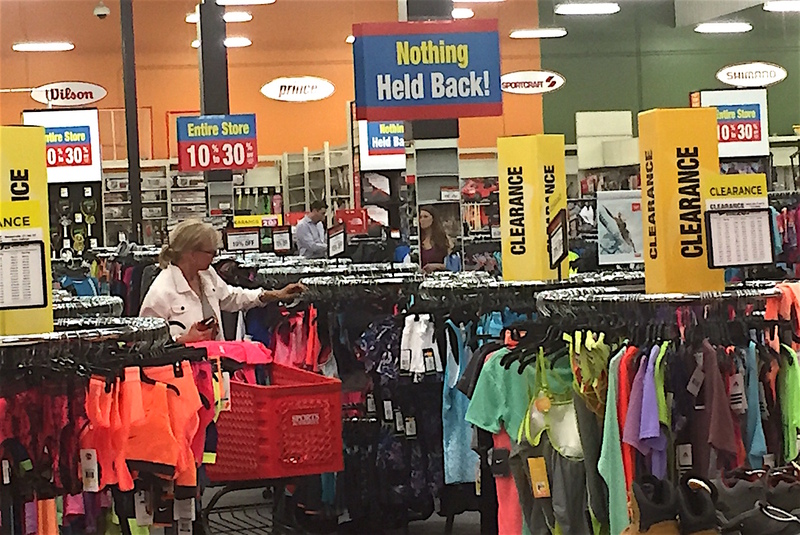 First, the Goodwill good news; then the Sports Authority not-so-good news story. Roof down and inventory destroyed, but not out, Goodwill Industries Thrift Shop re-opened for business at 550 W Washington Ave. on Friday, March 4 to crowds and kudos. Traffic was non-stop throughout the weekend spilling over to this week. View from the Goodwill Thrift balcony. 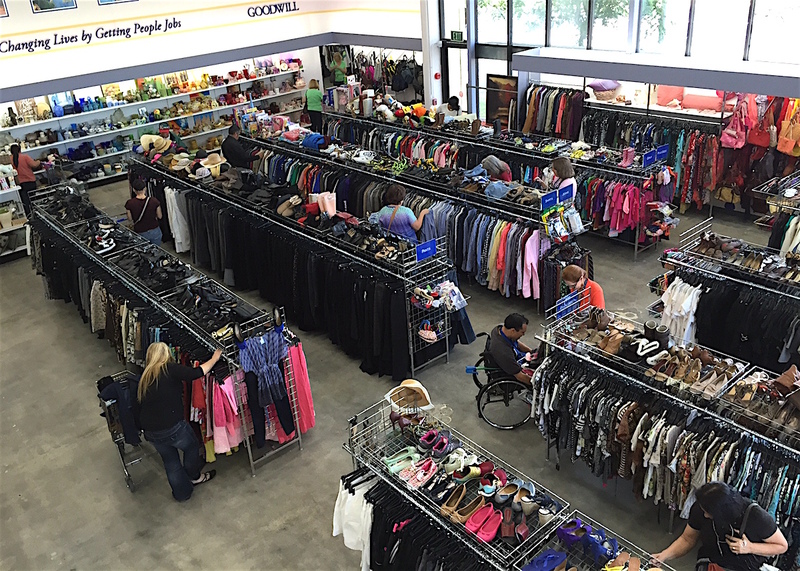 Goodwill’s giant thrift store, an Escondido institution. had been knocked out during an El Nino storm on Jan. 6 with the roof caved in, pipes broken and water destroying all its merchandise. The 30-35 employees had taken temporary assignments at other regional Goodwill shops, but offered the opportunity to return to Escondido, all of them returned, Normand said. Beth Forsberg, Goodwill vice-president for retail and operations, said customers “were so excited” to be back at the 11,000-square-foot store that includes a large donation sorting and warehousing operation. 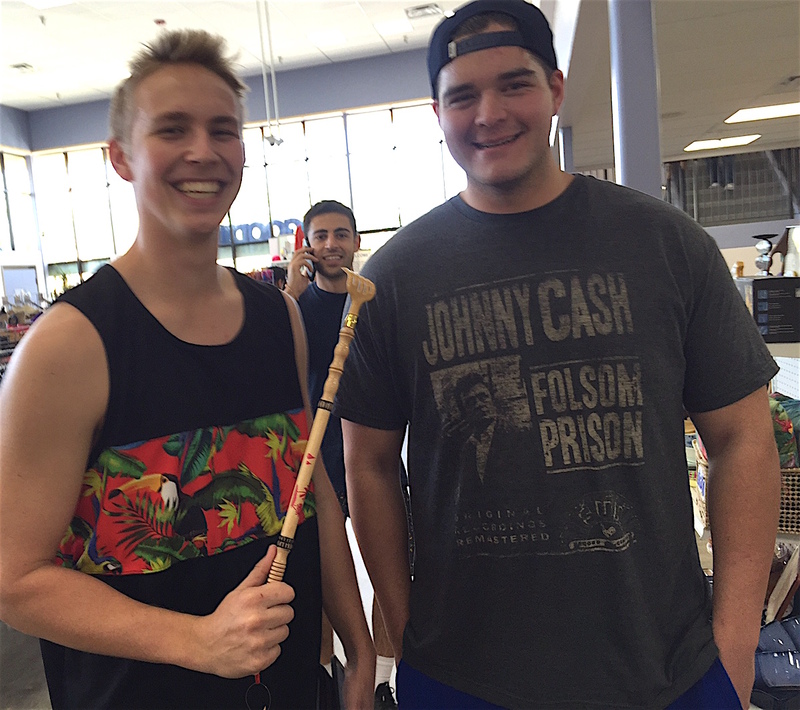 Cal State University San Marcos students Kyle Skachenko, left, and Jimbo Stumpff, with an unidentified colleague photobombing, stopped in while waiting for a friend to get his towed car back. Escondido’s Sports authority store is down and out for the count this week. Life, and nothing but, unfortunately wasn’t so great at the Escondido Sports Authority, a 12,000-square-foot store a few miles away at 1362 W Valley Parkway this week. The local Sports Authority outlet was among 19 California stores closed by the Englewood, Colo.-based sporting goods retailer that last week filed for chapter 11 bankruptcy protection. Its owner, Los Angeles-based private equity firm Leonard Green & Partners bought the company in 2006, and said it was $1.1 billion in debt with slumping sales. 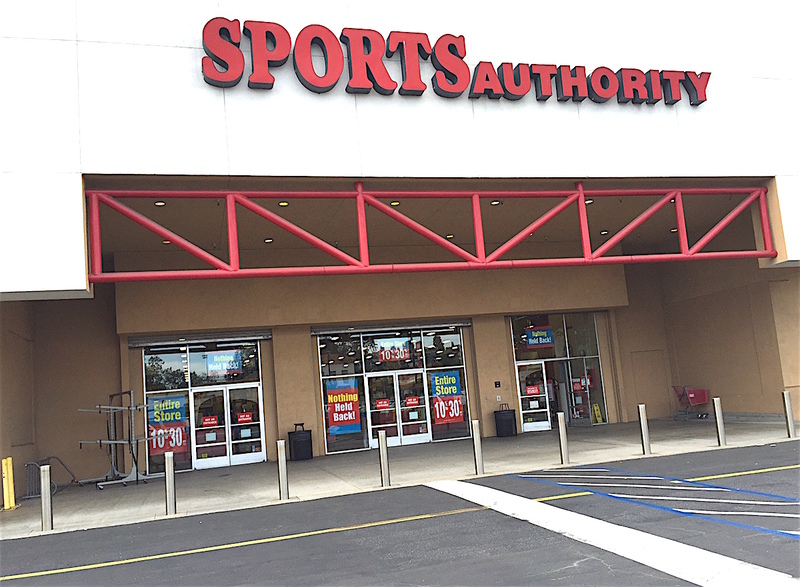 Along with Escondido, Sports Authority announced it was closing El Cajon and La Mesa stores. A Rancho San Diego store would remain open as the only one left standing in San Diego County, officials said. Sports Authority said it was closing 140 of its 463 stores in 41 states and Puerto Rico as well as its Denver and Chicago distribution centers. In addition to the California stores, sports was losing 18 of its authorities in Florida and 11 in Illinois. Five Sports Authority stores in Los Angeles County were being closed. Other California stores were being closed at Bakersfield, Corte Madera, Camarillo, Redding, Riverside, San Luis Obispo, Santa Ana, Stockton, thousand Oaks, Ventura and Walnut Creek. Catch Sports Authority while you can. Escondido employees refused to comment, saying they were ordered not to speak to the media by corporate headquarters. However, one of the employees said some workers had been offered other jobs within the company, presumably at Rancho San Diego. Be the first to comment on "Tale of two stores; one opening, one closing"